Knife related incidents have been on the rise in London. ZOMBIE knives, bloodstained streets, young people wearing stab proof vests, and a rising death toll. This is the grim reality of life in London where everything from "machine gun" murders to moped crime gangs are part of a crime wave that has seen the city overtake New York's murder rate. Knife and violent attacks are soaring, and city and government leaders are struggling to come up with a solution to end the carnage. Stabbings are occurring almost daily and there have been 70 murders this year, the most recent a 35-year-old who was stabbed to death at the weekend over a suspected drug debt. On Monday, three others - including a teenager - survived knife attacks in broad daylight. Of the London murders, 46 were the results of stabbings. Many blame the attacks on years of austerity that has seen police numbers reduced and welfare budgets cut. London Mayor Sadiq Khan this week met with Home Secretary Sajid Javid to discuss the crisis as public concern grows. "It's not rocket science. You can't cut thousands of police officers and close services without it having an impact on crime … this is now a national emergency," Mr Khan said. In a tweet before the meeting, the Mayor said families and communities were "gripped by anger and despair" from the "devastating" crime. Mr Javid, who is in charge of Britain's internal security, promised action to stop the "senseless" violence. He denied shrinking police numbers were solely to blame, and promised a range of measures including a further clampdown on weapons, increasing the fight against drug gangs and early intervention to prevent vulnerable young people turning to crime. The statistics tell a frightening story and show why the British capital has been dubbed Lawless London. Latest figures show 19,385 moped crimes in the past nine months alone - that's 60 every single day. 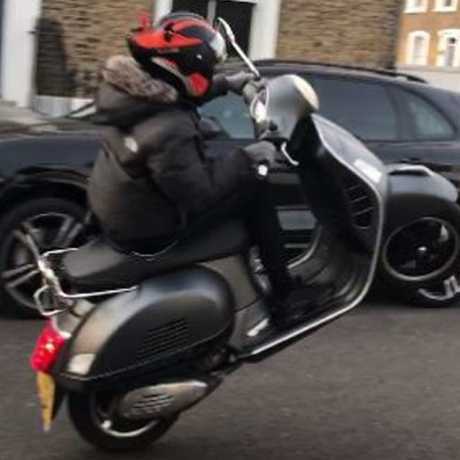 The speed and ease of mopeds in Londons's traffic chocked streets are thought to be behind the rise of the gangs. They have been fuelled by the easy access to drugs like cocaine and acid, and when combined with simmering gang tensions, have resulted in the staggering increase in attacks. Met Police officers have taken to going undercover as takeaway delivery drivers to try and catch moped gangs. 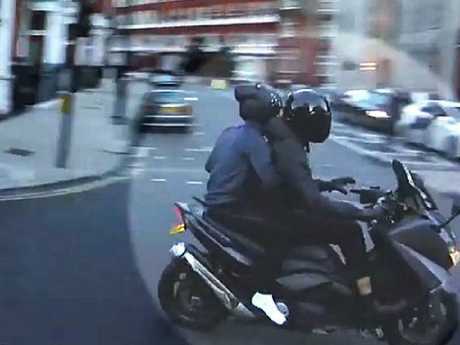 Part of the problem for officers has been confusion over the law around pursuits, with many worried about being blamed if a moped rider died during the chase. New police powers are already being discussed - and it can't come soon enough. A former moped gang member boasted to The Sun cops were powerless. "Because you're on a moped, it's not going to work, you'll kill us so you're just gonna have to leave us to drive - try and get the helicopter out or something." A graphic illustration of how bad things are in London came earlier this month when the city was rocked by a "machine gun" shooting, barely 20 minutes after another man was knifed in a bloody attack. Witnesses to the shooting said the victim was sitting in his car when he was shot a number of times - terrifyingly it sounded like rapid machine gun fire. A resident who came across the victim told London's Evening Standard: "I've been telling my wife it's not safe to bring kids up here. Guns are rampant. You never know what's going to happen tomorrow. My son was really scared - he was crying." Knives are increasingly the weapon of choice by assailants, and the ones they are arming themselves with are truly disturbing. Dubbed 'zombie knives' because the long blades are frequently seen in zombie movies. They can be purchased online for less than $20. The knives almost seem comical - but they are no laughing matter. They usually come in bright colours with the words "slayer" and "zombie killer" and are marketed so the buyer can survive the Zombie apocalypse". This month, footage emerged of a road rage incident involving a zombie knife. 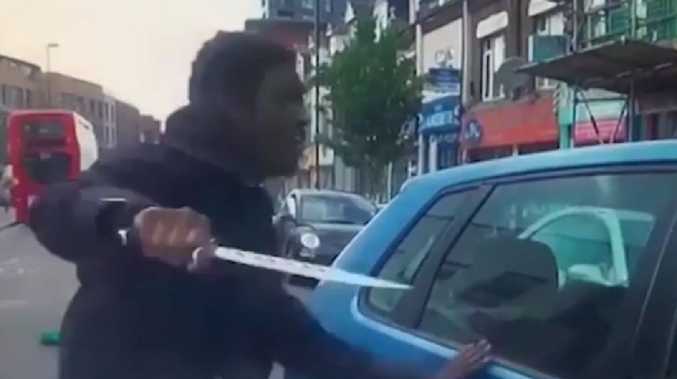 A cyclist used the knife to try and stab a motorist through a car window. The horrified motorist was then forced to run for his life while the attacker battered the car with the giant blade. As well as the knives, giant machetes and swords have been confiscated by police during random searches. A cyclist is pictured wielding a knife during a road rage incident in London. In February 250 knives and swords were seized across London in just one week. The fear of being stabbed is fuelling paranoia in some British youth, particularly London males. Some are now wearing stab proof vests on the streets to protect themselves from the violence. Trauma experts at city hospitals are seeing first-hand the tragic results. Dr Duncan Bew, of Kings College Hospital, said there had been a 75 per cent increase in knife crime injuries over the past 18 months. This has seen another worrying trend emerge. Young people are reportedly not going to hospital to be treated for their wounds out of fear of being linked with gang life. Some say they are simply carrying for protection - others have more sinister motives. Dr Bew confirmed the trend to The Times after teens told him they were scared of being branded gang members. "We need to reassure people that if they come to hospital they will not be labelled," he said. Superintendent Nick Davies, the borough commander of London's Camden and Islington police, told news.com.au he did not believe the "backstreet clinics" patching up knife victims was widespread. "It would be stupid thing to not go to hospital and be treated," he said. Supt Davies said a lot of work was being done to protect the community, including returning to a stop and search strategy [that allows police to search someone if they have 'reasonable grounds' to suspect a weapon is being carried]. "We make no apologies for that … These tactics will continue," he said. Met Police statistics showed a 5 per cent rise in violent crime in the past year. The figures show 35 youth homicides in the last 12 months - up 25 per cent, a 30 per cent surge in the rate of muggings and an 18 per cent rise in knife crime offences. A leaked Home Office report linked the crime wave with a huge supply of cocaine and crack cocaine caused by a bumper harvest in Colombia. The purity of crack cocaine had also risen dramatically, from 30 to 70 per cent, according to the report which stated that "crack seems to have a particular link to serious violence". Tests on arrested people have shown a 42 per cent increase in cocaine use. "First, the psychoactive effects are more associated with violence than [other] drugs … Second, crack has a shorter high, which makes transactions more frequent, sparking more violence," the report stated. Violent crime isn't just restricted to London. Statistics show knife attacks up 22 per cent and robberies up 33 per cent across the United Kingdom. In Ipswich, a town in Suffolk, in southeast England which is 131km from London, a 16-year-old was left fighting for life after being stabbed at a McDonald's. It was the fourth knife attack there in the past two weeks, including the fatal stabbing of a 17-year-old on June 2. Supt Davies told news.com.au a particular focus for police was the "wraparound" support for young offenders and their families. That meant zeroing in on the social and health services in a bid to break intergenerational gang involvement. "We're getting good results. There are some hardened gang members you can't save," he said. 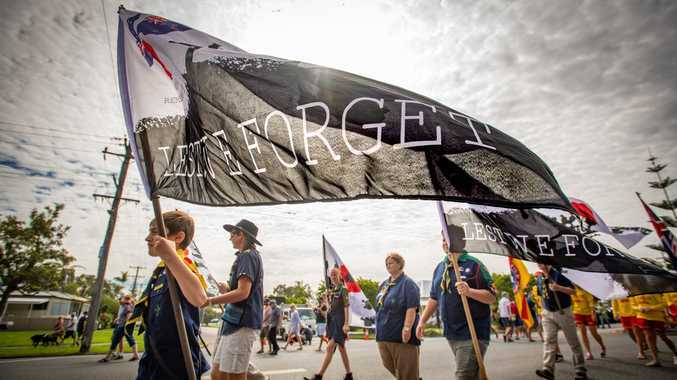 But others could be - and seeing their mates being attacked, or narrowly surviving themselves, was sometimes the catalyst to push them away from crime. "They might think they're big and bad, but then their mate gets stabbed … and that's [the event] that helps us move out of harm's way," Supt Davies said. There was always a need to involve the community with each step police took, he added. Supt Davies told news.com.au he was aware some people were protecting themselves with stab proof vests, but believed that was an indication of the type of characters they were associating with. He said it was "pretty clear" ordinary people didn't need to go to such extraordinary lengths. "It relates, I think, to the company they are keeping," Supt Davies added.